In this article we explain the various methods to find items and add these to your shopping cart in order to purchase them. Scroll down for a brief description of every method. 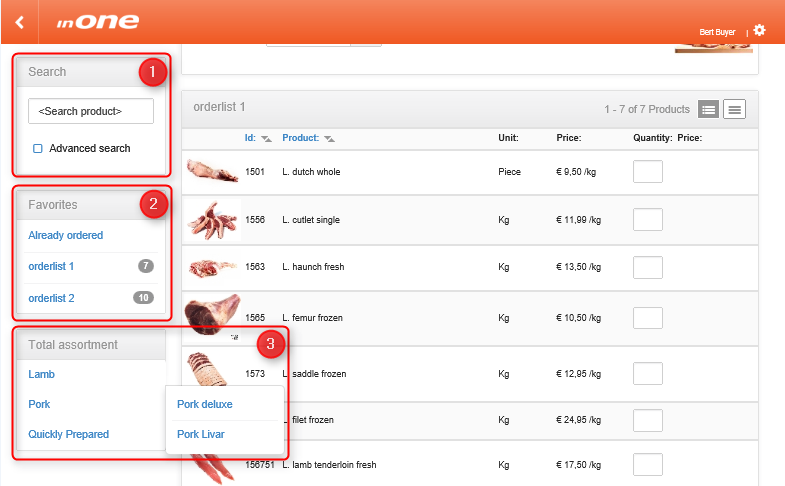 Use the search engine to find items of which you know the names and/or item numbers, the results are shown in the main screen. 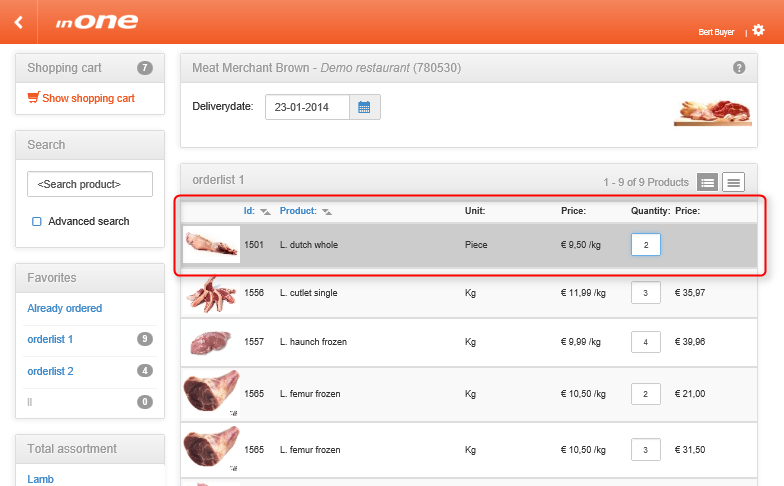 Simply punch in the name or number of the product in the search field and inONE Market will find the item. 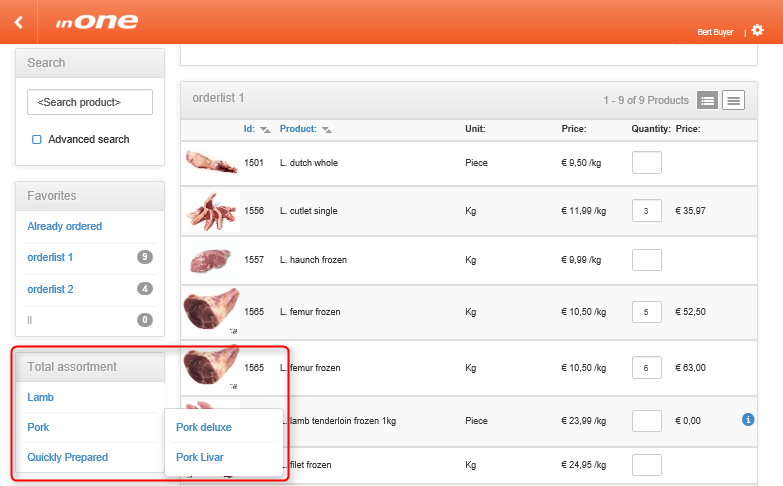 When only part of the name or number is filled in, a list of products with familiarities is generated. 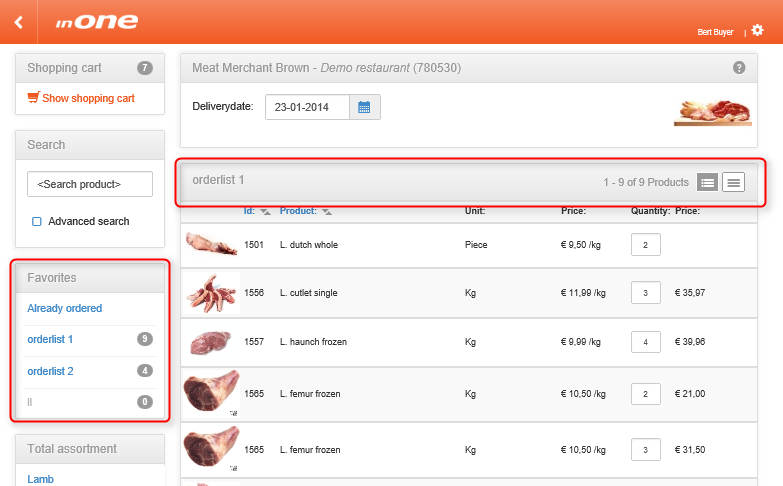 When the desired product is entered, the item will be highlighted in the results list. The fastest way to find regularly used products is the favlist: create and manage your personal lists of most wanted items. 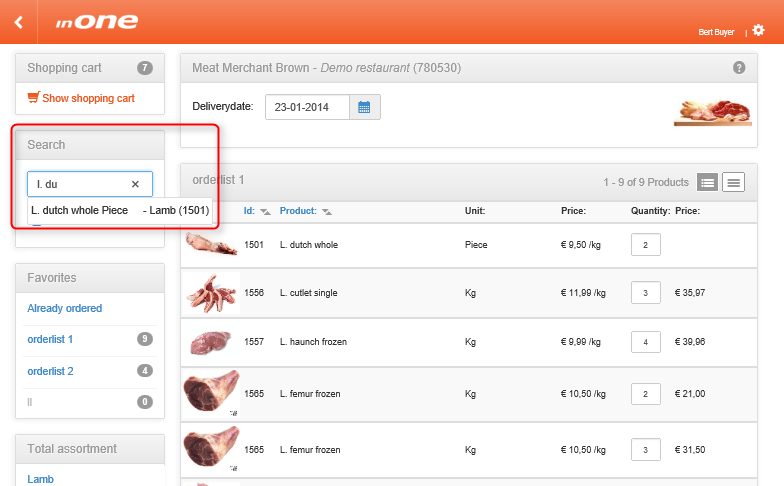 To use this search option you need to create one or multiple lists first. In the section 'Manage personal favlists' we show you how. When you have created your favlists, their names will appear on the left side of your screen. Click on a list to display the products that are on this list and select the items to buy.